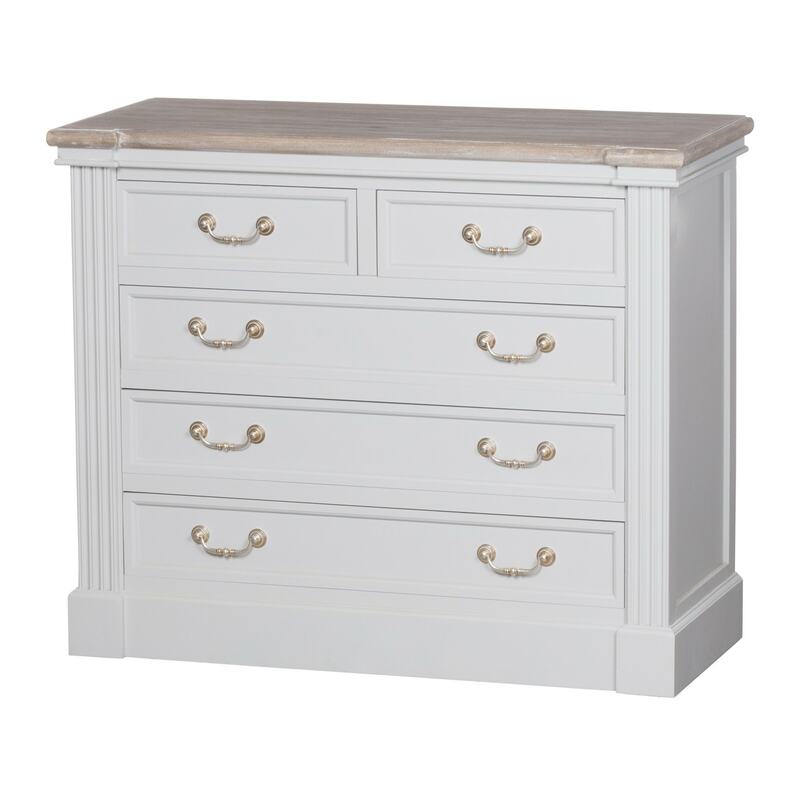 Here we are proudly introducing this two over three chest of drawers. It is a functional and classy piece with two separate drawers sizes which provides ample storage space. The space on top can be accessorised to create a beautiful decorated look to your room. This drawer is perfect to brighten and lift the light in any bedroom which it is placed.